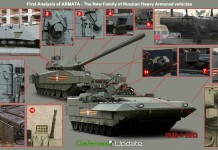 Although some press reports indicated that Kurganets-25 has high commonality with the Armata platform, an external view does not show such similarity, except the KBP Epoch turret that is common to both Kurganets-25 BMP and T-15 BMP. 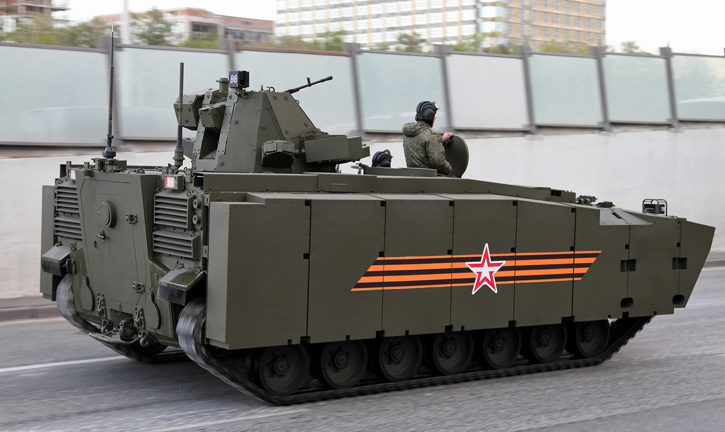 The Russian army is displaying the first mechanized unit deployed with the new Kurganets-25 armored fighting vehicles during the May 9th parade in Moscow. This is the first public unveiling of the new armored vehicle, that has been in development in the past decade. The new family of vehicles was designed and produced by KMZ (Kurganmashzavod), the manufacturer of the BMP-2, BMP-3 and BMD vehicles. 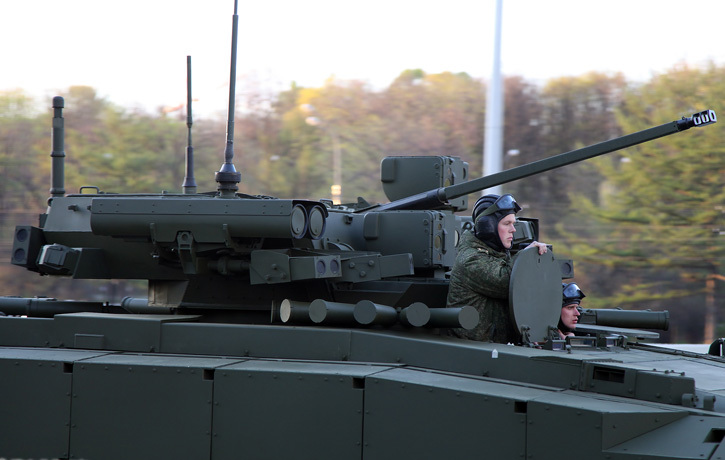 The new Kurganets-25 armored infantry fighting vehicle is designed to replace a number of combat vehicles currently used in mechanized divisions, such as BMP and MT-LB platforms. Kurganets-25 represents a distinctive change from the traditional Russian low profile design. The new vehicle is higher, thus better designed for mounted combat, rather than a troop carrier. Higher floor also means better IED and mine protection, better adapting the vehicle to asymmetric warfare. [ismember][/ismember][nonmember][/nonmember]The new chassis is designed for vehicles with combat weight up to 30 tons, supporting a number of variants, including the AIFV (Kurganets-25 BMP), armed with the Epoch turret mounting a 30mm automatic cannon and the troop carrier (Kurganets-25 BTR) armed with a smaller turret mounting a 12.7mm and 7.62mm machine guns. 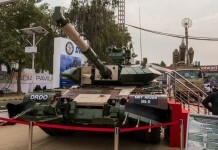 It is expected that future variants will also include a self-propelled mortar and mobile gun, similar to the Sprut-SD light amphibious tank, which unlike the Sprut-SD, will carry an unmanned turret. 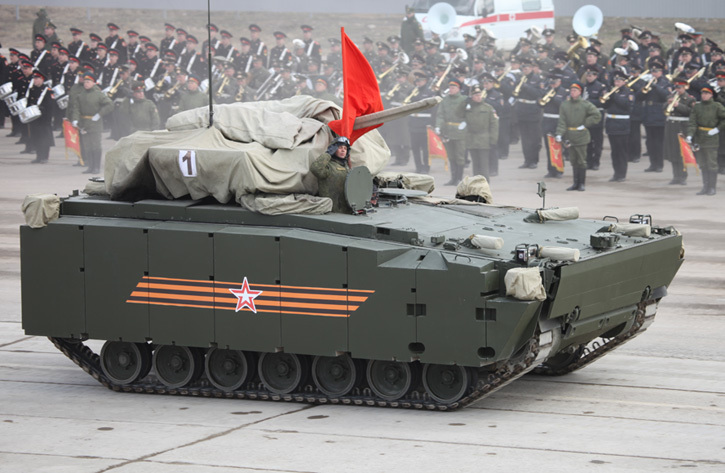 Given the large-scale deployment of Kornet missiles with the Kurganets-25 BMP variant, a number of missile carriers will become redundant and may be phased out of service in Kurganets-based formations. 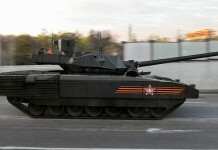 Although some press reports indicated that Kurganets-25 has high commonality with the Armata platform, an external view does not show such similarity, except the KBP Epoch turret that is common to both Kurganets-25 BMP and T-15 BMP. The engine, tracks, armor modules seem to be different. 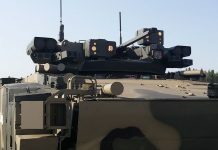 The two vehicles are also unlikely to be deployed together, as the T-14 and T-15 are expected to deploy with armored formations while Kurganets-25 platforms will equip the mechanized units. 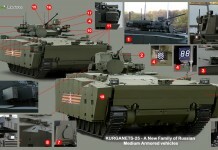 Provided with a modular armor suite, Kurganets 25 offers an increased armor protection, compared to BMP-3 / BMD 4. 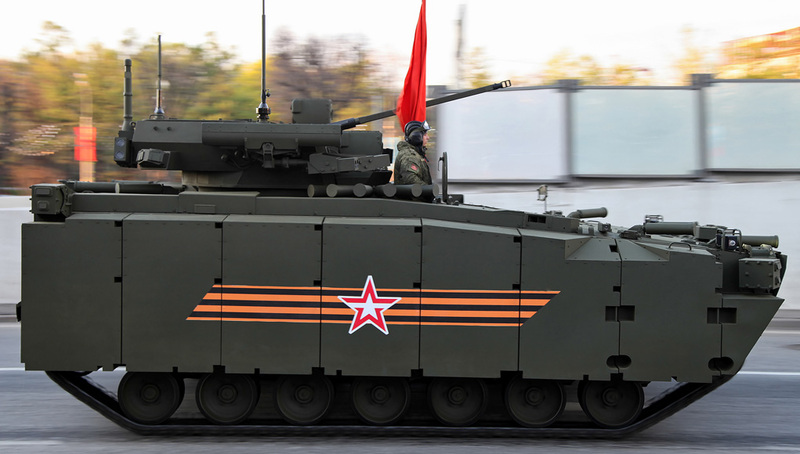 As the BMP-3, it can also employ an active protection system. 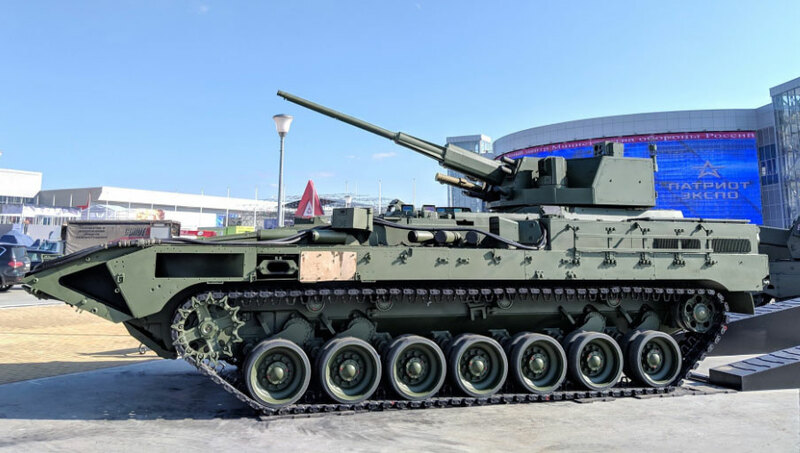 Similar to the T-15, Kurganets 25 mounts the KBP Epoch unmanned turret mounting a single 2A42 30mm cannon, 7.62 PKT coaxial machine gun and four Kornet EM guided missiles. Unlike previous manned turrets that occupied significant space in the fighting compartment, the Epoch is remotely controlled and does not penetrate the deck, thus simplifying the structural design and clearing more space for troops and supplies. 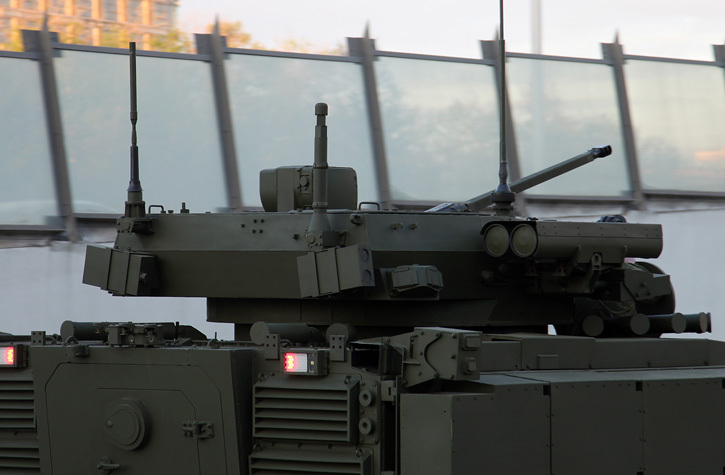 Vetronics systems integrated as standard include a fire control system, a day/night sight for the gunner, a missile guidance system for the Kornets, and independent sight for the commander. The vehicle is also equipped with peripheral cameras providing visual situational awareness for the troops. 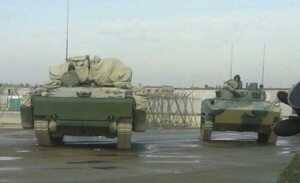 As can be seen from this image, Kurganets 25 is much bigger than the airborne capable BMD, and weighs twice as much. The 800 hp power pack is located at the front, clearing the space and access to an infantry squad of eight troops. 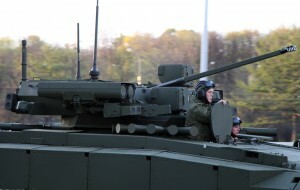 Crew of three – commander, weapon operator and driver, operates the vehicle. As an amphibious vehicle weighing 25 tons, Kurganets 25 can swim in water at a speed of 10 km/h using two waterjet propulsion modules and a wave breaker that opens as the vehicle splashes into the the water. On land the vehicle can move off road at speed up to 80 km/h using the rubber padded tracks and suspension system comprising seven road wheels and torsion bars. Its maximum road speed is 80 km/h.